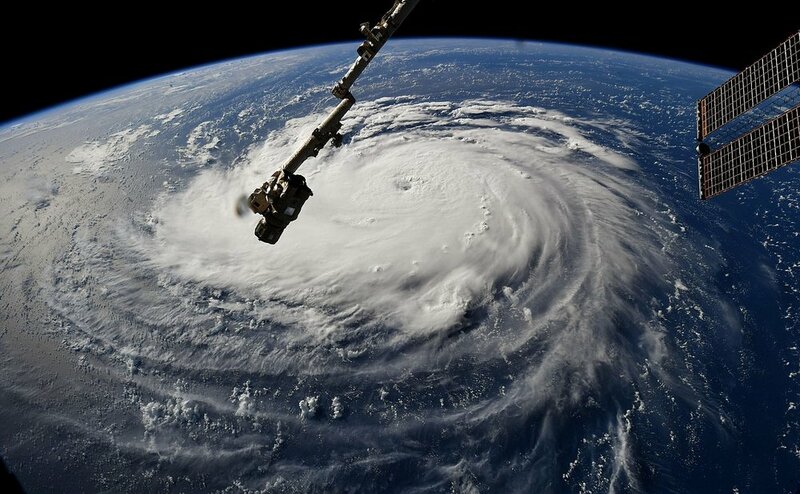 Hurricane Florence has been downgraded to a tropical depression and is losing wind strength, but continues to dump large amounts of rain on North Carolina. At least sixteen people have been killed so far, and rivers, streets, and and buildings are still flooding. Florence is more than a hundred miles southwest of Roanoke, Virginia, and is moving toward the southern Appalachian mountains. Meteorologists are calling for two to five inches of additional rainfall throughout North Carolina today, with up to eight inches in localized areas. Flooding in North Carolina is so severe that the NC DOT is advising people not to travel in or through the state at all. Several sections of I-95 and I-40 are flooded, and “travel should be completely avoided in areas south of US 64 and east of I-73/I-74,” the NCDOT wrote. Truckers avoided areas of North Carolina affected by Hurricane Florence last week: Raleigh’s inbound rejections jumped from 15.9% on Monday (9/10) to 39.92% on Friday (9/14). -Troy Cooper, President of XPO Logistics. Bloomberg has just reported that President Trump wants to levy an additional 10% tariff on $200B worth of Chinese imports, less than half the 25% rate the administration was originally considering. China, for its part, has warned that it will not be content to stay on the defensive in the escalating trade war, but will retaliate against American businesses with both increased duties and regulatory scrutiny.